Today, we want to show our construction corner!! A few days ago we carry a new construction games and we played a lot with them. 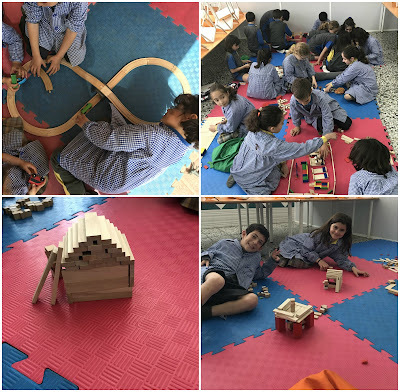 On the playroom we have been practicing and playing to built the best and the largest construction that never seen before. Here have a taste about this days but we continue practicing for get the challenge!